These stylish Israeli sandals feature a unique decorative style of front strap - combining three to create a truly fashionable look. The back is a classic ankle strap with a buckle and the sole is comfortable rubber. 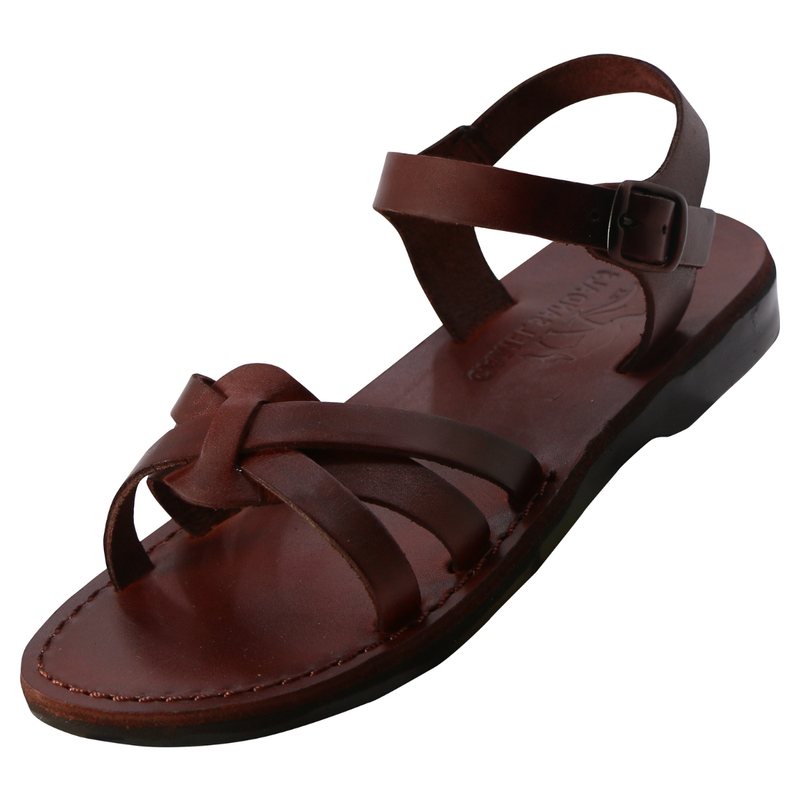 Israeli sandals are known for their comfort as well as their elegance and sturdiness. This pair has a unique stylistic design in the front, combining three narrow straps to make a stylish sandal front. The back is the classic buckled ankle strap and it is all made of high quality leather attached to a comfortable and supportive rubber sole. Made per order, these sandals are crafted and sent to you from their studio in Israel.